Tri-town Discount Liquors is a business featured in our Jewish Calendar and a long-time Shaloh House supporter. Tri-town Discount Liquors is a great place to shop for your kosher wine for Shabbat, Passover, and other Jewish holidays. It features a full kosher/Israel section with a large selection of red and white wines from Merlot to Shiraz. The kosher section is located on the first isle on the left towards the back of the store. Tri-town Discount Liquors is located directly opposite the main entrance to Shaw's supermarket in Canton, MA (Cobb Corner). 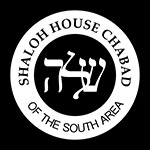 It is conveniently only about a half-mile from Shaloh House. Monday through Saturday: 9:30 a.m. to 10:55 p.m.
Sunday: 12:00 p.m. to 7:55 p.m.